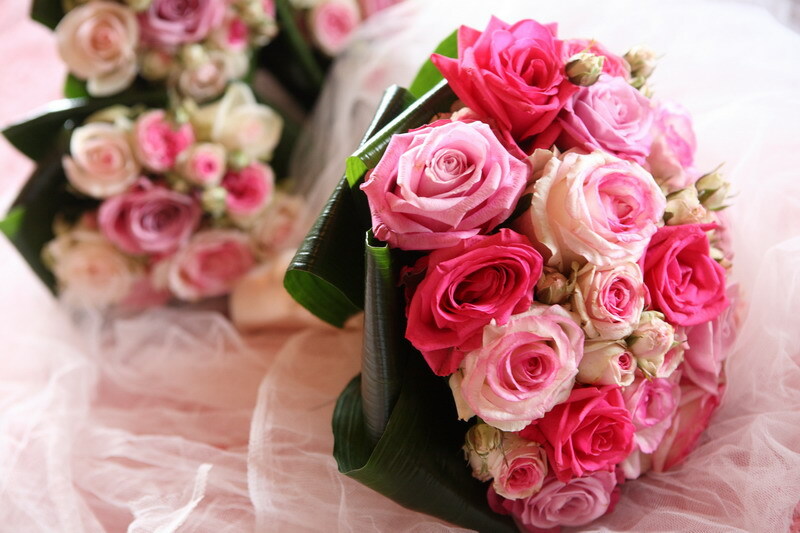 FOLLOW THE COLOUR TREND ON FLOWERS AND BE GLAMOROUS ! Like any other wedding item flowers are subject to trends. Ivory is off course the colour that strikes to your mind when you think about weddings. But why not adding a splash of colour to your wedding ? Fashion industry has a big impact on flowers colour trend so check the colour that are fashion in the highstreet add them to your bouquet. As you might guess 2009 flower trends will be a touch of purple flowers. 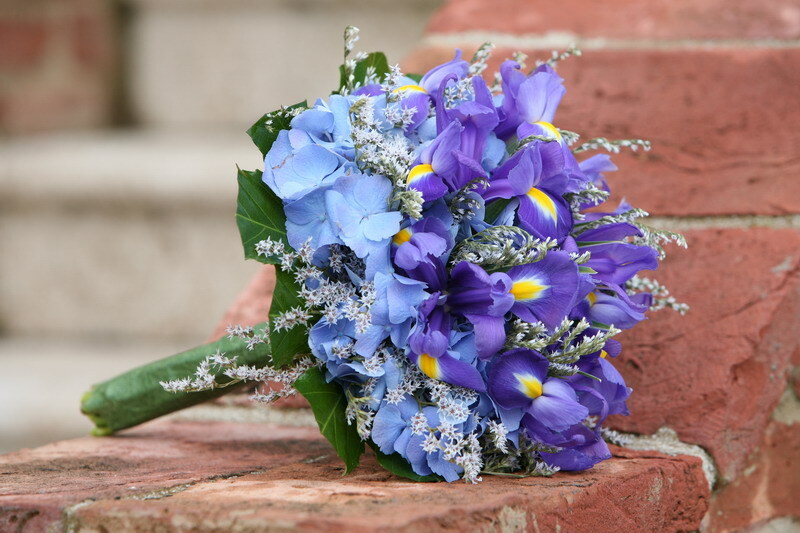 Here are a few purple flowers to add a bit of glamour to your bouquet. Money matters: Priorities and write a list of what is more important to you. For example if flowers play a huge role in making the day special to create atmosphere then go for it and save on the bridal car. Don’t make the mistake to try and save on every item because you will not be satisfied in the end since you ill have compromised on things that you cared for. Remember to save on things that don’t really matter to you. Have guests stay where the venue is so that you save on transportation (which is an expensive item on an Italian budget). 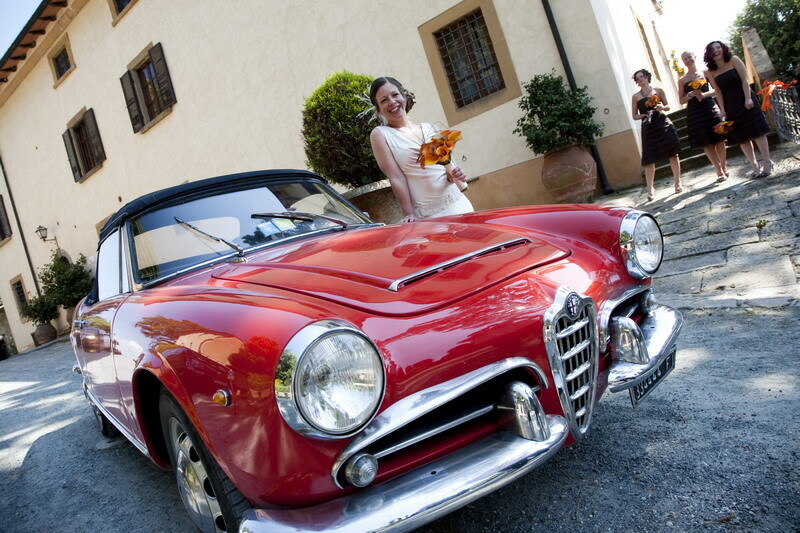 Bridal car: instead of hiring a car with driver for the day, hire a nice car (say a convertible or a nice Alfa Romeo – since you are in Italy) for the entire week so that you can maximize its use. You can then ask a friend to drive it on the day. 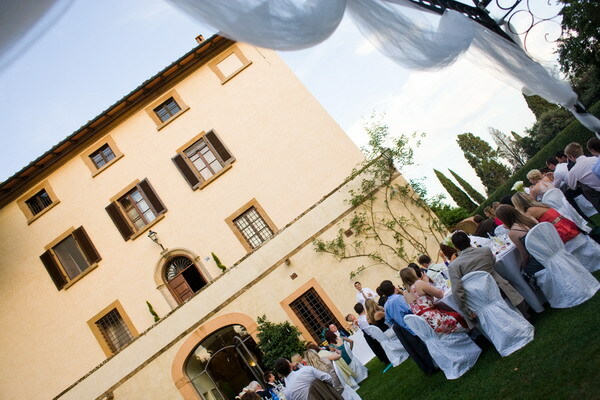 Hire a large villa or a farmhouse where you can also have a wedding. Some villas do not charge an extra fee to have the wedding since they will have the weekly rental. They might charge a minimal fee for cleaning and re-ordering the villa after a party. If you have guests stay in a hotel and you hire a separate venue for the day, say a castle, you will be charged a venue wedding fee on top of accommodation. You can save a lot plus for you and your guests it will turn into a lovely holiday. HAVE THE WEDDING MID WEEK as opposed to a Saturday. You can hire a large villa from Saturday to Saturday, have the wedding any day from Sunday to Thursday. You will have more available suppliers and they sometimes charge also less. go for the traditional Italian wedding cake (Millefoglie – layers of puff pastry and fresh vanilla cream with either chocolate chips or Fresh strwberries). 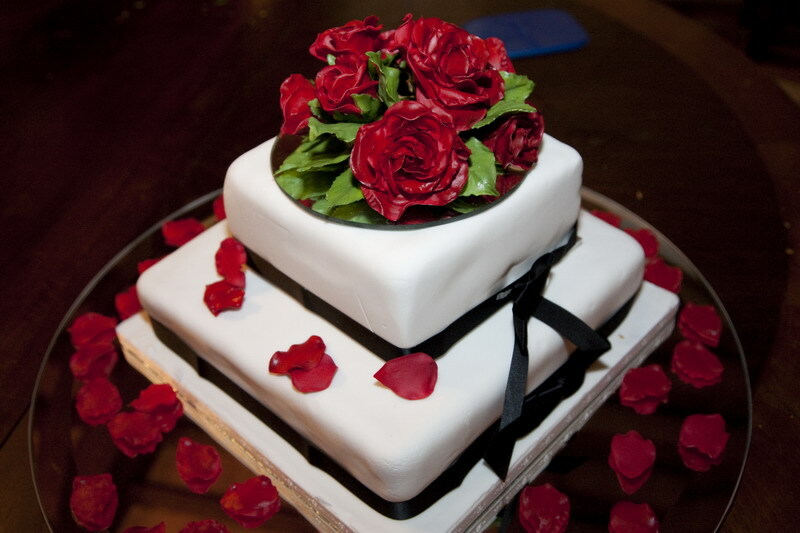 The cost is sometimes 50% less than a wedding cake in the UK. On top of this Italian confectionary, however excellent they might be, they excel in Italian cakes. Trying to reproduce an English cake, you might end up spending more and not having what you really wanted. For example, icing: no Italian cake has icing which means that they only do icing for non-Italians who request it. 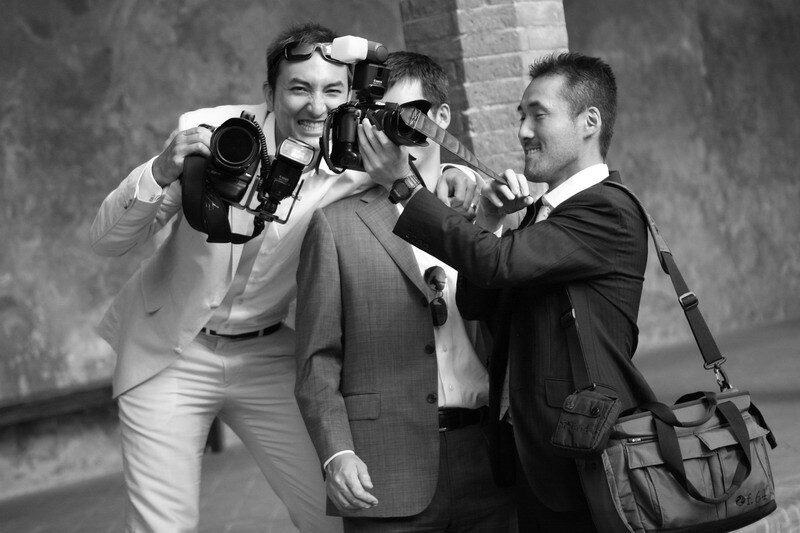 advice: unless you have a friend or family who is a professional photographer do not count on friends taking snapshots. Wedding Photos is what you will have to look at in 20 years time to show your children. Make sure you get a pro to do the job. The photographer will make sure that you don’t miss out on all the crucial moments aside from having beautiful photos guarantee. One way to save on the photography is to have CD of photos and not have prints with a big leather album. You can decide to buy a photo album at a later stage and stick the photos in the album yourself. -Use seasonal flowers and local flowers which will be a lot cheaper than imported from Holland or out of season flowers. In the summer months when flowers are at its lowest production, you can always find Gerberas and certain types of Roses. Remember that in Italy is a lot warmer than in the UK so the flowering time is a lot shorter than in the UK. 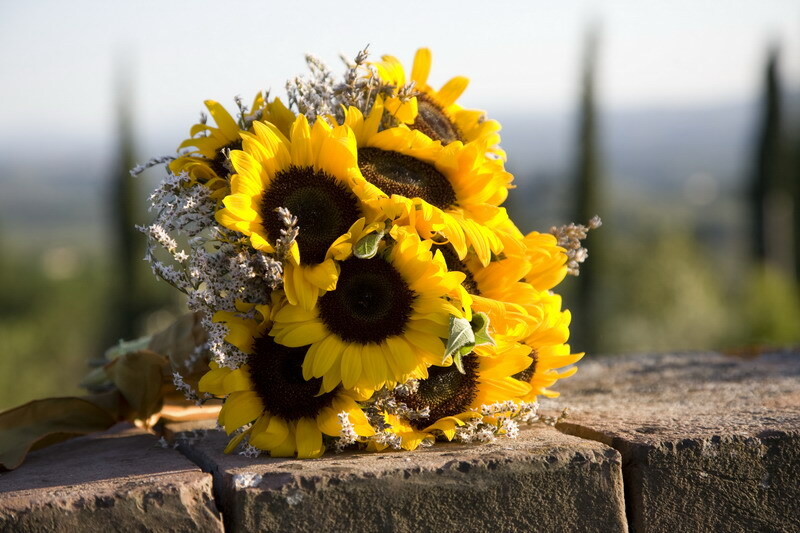 -if flowers rank at the top of your wedding budget and you really like to have the venue and church/town hall very rich with flowers, then make sure that you pick a date whenyour flowers are in season. For example, Peonies are gorgeous flowers but have a very limited season in Tuscany (May) or Hydrangea (June), then it is worth getting married in the period that they are in season. -If you have really set your heart on a flower and it happens to be out of season or you can only make a wedding on a certain date, then spend a little more on flowers for the bridal party (bridal bouquet, bridesmaids, buttonholes and corsage) which will also appear on all the photos, and then for the church/ceremony and for the reception choose either a similar flower altogether or have a predominance of a seasonal matching flower and just a touch of your favourite one. -Use local herbs such as rosemary, sage (they both have beautiful flowers in their flowering time); Fresh lavender when in flower. All the above will give a lovely scent to your flower composition and a very reasonably priced! The flower composition from the town hall should be easily transportable (in a wicker basket for example – no water - ) and of size that can be easily put in a carby one of the guests or by the wedding planner. This composition can then be re-used for the canapés table when guests get back to the villa. Then when the canapés are over, this composition can be pulled apart and re-used to decorate the cake or placed on the open bar table in the evening. 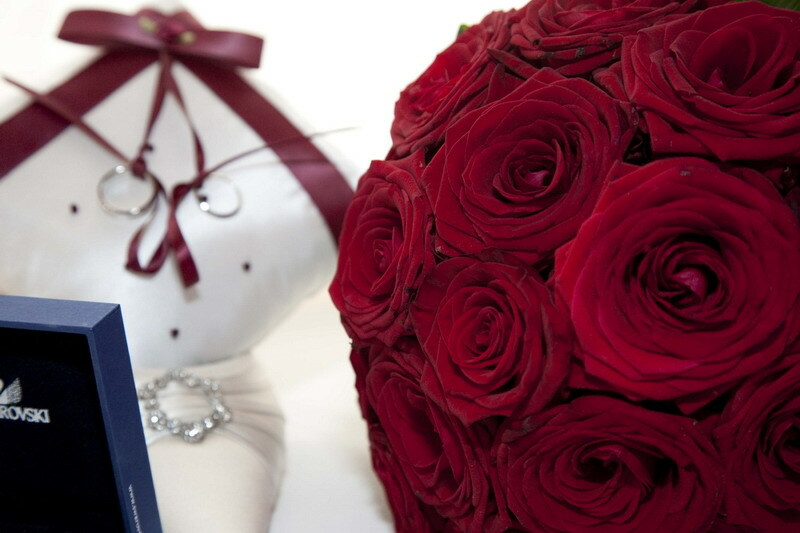 -spend on your bouquet and save on reception flowers. For table centrepieces have some large floating flowers with many candles/t-lights.